Produced almost ten years after the final episode of the Blackadder TV Series aired, Blackadder Back & Forth was a one off special to celebrate entering the year 2000. 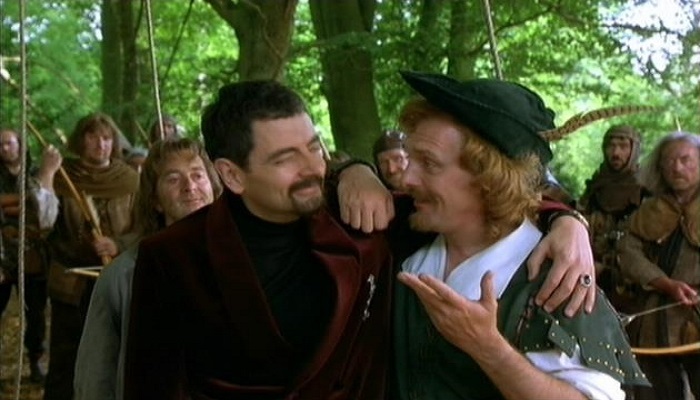 Specially commissioned for the event, and then shown near the Millennium Dome during this period, it was the only Blackadder to have been filmed without a laugh track. One was later added for when it was first broadcast on BBC1 in 2002. If you’ve never seen the full episode of Blackadder Back and Forth before, take a look at the video below! The basic plot is based on an adventure in time and space. If that sounds a little bit like Dr. Who, well there are a couple of links! In this Blackadder special, Baldrick inadvertently invents a time machine. 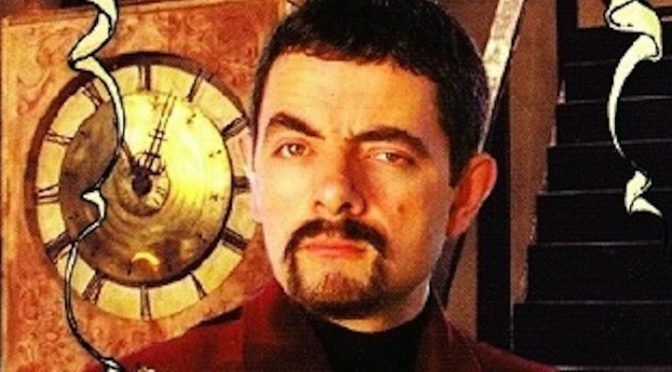 Fans of Rowan Atkinson may also remember he played a non-canonical Dr. Who in a Comic relief sketch from 1999. 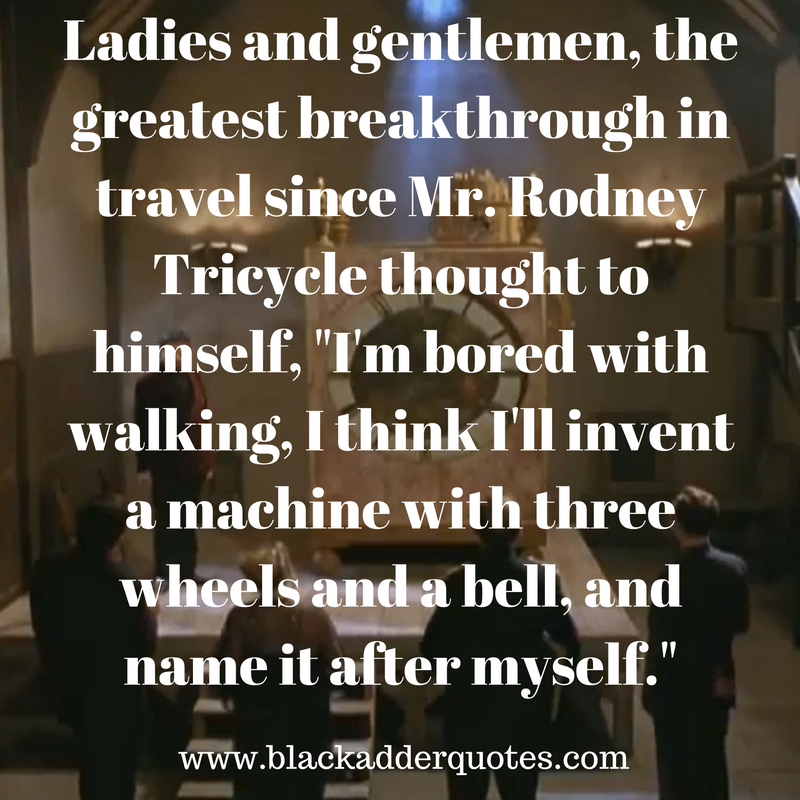 We think he would have made a great Doctor Who! But we digress! Back to the plot. Blackadder and Baldrick, in a miraculously functioning time machine go back and Forth in time in order to win a bet. Along the way, they meet Robin Hood, the Duke Of Wellington, Dinosaurs, go the the future, and alter the course of history once or twice. At the end, Blackadder realises he can alter time to benefit himself. He becomes the absolute monarch of Britain, and his descendants the Rulers of the Universe. Many of the core cast members from the Blackadder series appeared in Blackadder Back & Forth, along with previous cameo guest stars. 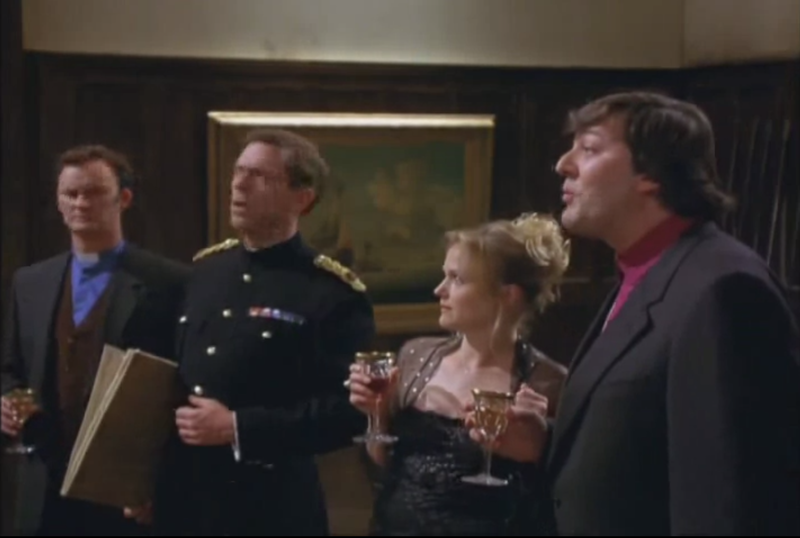 A few new characters played by ‘household names’ also made their first appearance in this Blackadder Special such as Kate Moss, and Colin Firth.